Come run or walk on the quiet residential streets in Hingham during Derby's second annual 5K Race and Fun Run! The course has rolling hills, as well as some flat terrain. There will be one water stop along the route. The Fun Run is recommended for younger participants (ages 10 and under). Times will not be recorded and participation is encouraged! The top 3 Male and Female Overall winners in the 5K will receive Marathon Sports gift certificates and trophies. Age-group winners (1st, 2nd, 3rd) receive medals. Post-race refreshments will include bagels, juice, bananas, and chips and cookies. T-shirts will be given to those who register by April 15, 2019. Registration fee for the 5k is $30 per person or $75 per family. Fun Run registration is $15 per person. On April 15, the price for the 5K will increase from $30 to $35 per person, and $85 per family. BIB NUMBER PICK UP: Packets and bib numbers will be availble for early pick up on Friday, May 3 at 12:30-2pm in the Brown Art Gallery in the Roy Campus Center on Derby Academy's campus. REGISTRATION: If you know someone who has not yet registered, he/she can register online until midnight Wednesday, May 1, 2019. There will be race day registration between 7:00am and 8:30am. 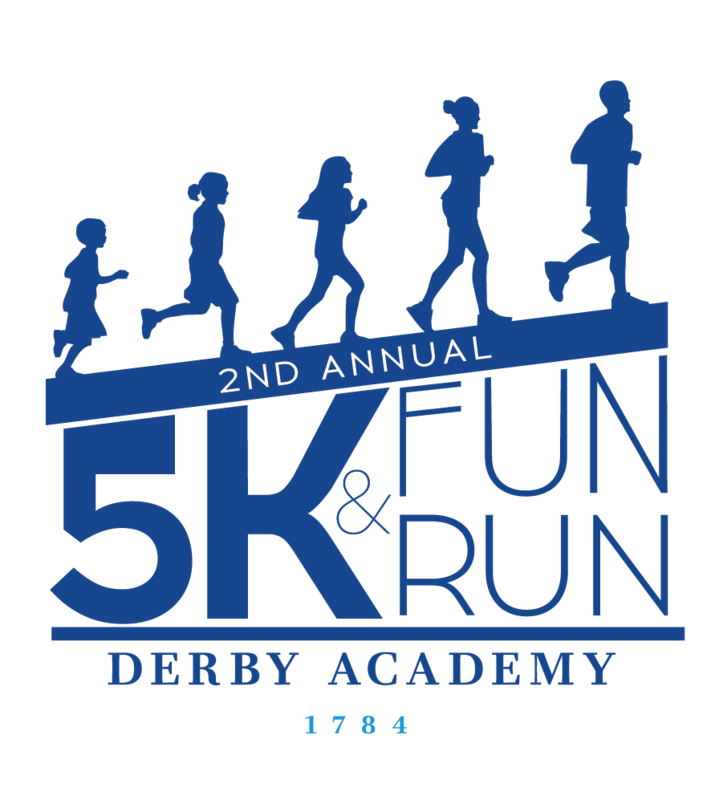 START TIMES: The kids’ Fun Run will start at 8:30am at Derby Academy and the course will be on Derby's campus. Participants must be checked in by 8:15am. The 5K Race will start immediately after the Fun Run at 9:00am sharp. TROPHY AND AWARD PRESENTATION: Trophies are awarded to all 1st, 2nd, and 3rd place overall winners and medals for all age categories at 9:30am near the finish line. Medals will be given to all participants in the Fun Run. We need several volunteers to help make Derby's 5K and Fun Run a success - we can't do it without you! Please consider volunteering on Sunday, May 5! Do you plan on running either the 5K or Fun Run?